A 60-day study was conducted to investigate the dietary effect of replacement of maize with graded levels of melon shell meal (MSM) on growth performance of Clarias gariepinus fingerling. Five isonitrogenous diets were formulated. MSM was added to the diet to replace maize at graded levels; 0%, 25%, 50%, 75% and 100%. Total of 150 fish (3.40±0.05g) were randomly assigned to the five treatment diets. Each treatment contained 10 fish per tank and each treatment was triplicated in a completely randomised design (CRD). Fish were fed twice daily at 5% body weight in equal proportions. Results showed significant differences (P<0.05) for measured growth parameters. Fish fed diet containing 100% MSM had the highest mean weight gain (70.70±4.62g), specific growth rate (SGR) (5.06±0.10%), best feed conversion ratio (FCR) (0.54±0.04%) and protein efficiency ratio (PER) (1.68±0.11%) compared to other treatments and the control while fish fed 25% MSM had the poorest values for MWG (39.88±4.37g), SGR (4.20±0.16), FCR (0.60±0.02) and PER (0.95±0.11). MSM inclusion in diet of C. gariepinus up to 100% enhanced growth. A.O.A.C. 2000. Official methods of analysis of AOAC. International 17th edition; Gaithersburg, MD, USA, 19 p.
Abiodun OA, Adeleke RO. 2010. Comparative studies on nutritional composition of four melon seeds varieties. Pakistan J Nutr. 9(9): 905-908. Akinrotimi OA, Gabriel UU, Owhonda NK, Onukwo DN, Opara JY. 2007. Formulating an environmentally friendly fish feed for sustainable aquaculture development in Niger. Agric J. 2(5):606-612. Baruah K, Sahu NP, Debnath D. 2003. Dietary phytase: An ideal approach for a Cost effective and low polluting aqua-feed. NAGA, 27(3):15-19. Bhatnagar A, Jana SN, Garg, SK, Patra BC, Singh G, Barman UK. 2004. Water quality management in aquaculture, In: Course Manual of summer school on development of sustainable aquaculture technology in fresh and saline waters, CCS Haryana Agricultural, Hisar (India), 203- 210 pp. De Silva SS, Anderson TA. 1995. Fish nutrition in aquaculture. Chapman & Hall Aquaculture Series 1. New York:Chapman & Hall, 319 p.
Eyo AA. 2005. Management of inland capture fisheries and challenges of fish production in Nigeria. 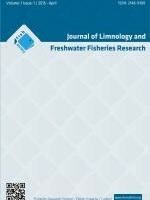 Paper presented at: 19th Annual Conference of the Fisheries Society of Nigeria (FISON); Ilorin, Nigeria. Fagbohun ED, Lawal OU, Hassan OA. 2011. The chemical composition and mycoflora of sundried shelled melon seeds (Citrullus vulgaris) during storage, Int R JMicrobiol. 2(8): 310-314. FAO 2004. The state of world fisheries and aquaculture. Food and Agriculture Organization, United Nations. Rome 59 pp. FAO 2005. Further processing of fish. Fisheries and aquaculture department, Rome. Updated 27 May 2005, 78 pp. FAO 2006. State of world aquaculture. FAO Fisheries Technical paper, No. 500. Rome, 134pp. Iheanacho SC, Ogunji JO, Ogueji EO, Nwuba LA, Nnatuanya IO, Ochang SN, Mbah CE, Usman IB, Haruna M. 2017. Comparative assessment of ampicillin antibiotic and ginger (Zingiber officinale) effects on growth, haematology and biochemical enzymes of Clarias gariepinus Juvenile. J Pharma Phytochem. 6(3): 761-767. Jamiu DM, Ayinla OA. 2003. Potantial for the development of aquaculture in Africa. NAGA 26 (3): 9-13. Jesu AA, Muruganandam M, Marimuthu K, Haniffa MA. 2008. utilization of carbohydrates as a dietary energy source by striped murrel Channa striatus (bloch) fingerlings. Centre for Aquaculture Research and Extension (CARE) St. Xaviers College (Autonomous), Palayamkottai Tamilnadu-627 002, India. Moerman D. 1998. Native American ethnobotany. Oregon:Timber Press 927 p.
Nwana MB. 2003. Feed and feeding of fish and shrimp: A manual on the preparation and presentation of compound feeds, 14-18 December 1992. Bangkok, Thailand. Nwanna L, Fagbenro O, Olanipekun S. 2004. Evaluation of tamarind (Tamarindus indica) seed meal as a dietary carbohydrate for the production of Nile tilapia Oreochromis niloticus (L). Anim R Int 1(3): 164 -168. Nwanna LC1, Falaye AE, Olarewaju1OJ, Oludapo1 BV. 2009. Evaluation of Nile tilapia (Oreochromis niloticus l) fed dietary potato peels as replacement for yellow maize. Paper presented at: 24th Annual Conference of the Fisheries Society of Nigeria (FISON); Akure, Nigeria. Ogbe AO, George GAL. 2012. Nutritional and anti-nutrient composition of melon husks: Potential as feed ingredient in poultry diet. Res J Chem Sci. 2(2): 35-39. Ogunji JO. 2004. Alternative protein source in diets for farmed Tilapia. Animal Science Comparative Reviews Number 13; CAB International Publishing (Oxford, UK). Nutr Abstr and Rev 74(8): 23-32. Olatunde A. 1996. Digestive enzymes in alimentary tract of Clarias lazera (Cuvier and Vaenciennes); family Clariidae (Osteichthys: Siluriformes). Archives fur hydrobiology. 112: 107 -113pp. Olurin KB, Olojo EAA, Olukoya OA. 2006. Growth of African catfish Clarias gariepinus fingerlings, fed different levels of cassava. Int Digi Org Sci Info. 1(1): 54-56. Orire AM, Ricketts OA. 2013. Utilisation of Melon shell as dietary energy source in the diet of Nile Tilapia (Oreochromis niloticus) Int J Eng Sci. 2 (4): 05-11. Tewe OO. 2004. Cassava for livestock feed in sub-sahara Africa. FAO. Rome Italy. 64 p.